Ostara How did we Celebrate?? For early Pagans in the Germanic countries, this was a time to celebrate planting and the new crop season. Typically, the Celtic peoples did not celebrate Ostara as a holiday, although they were in tune with the changing of the seasons. Persian kings known as the Achaemenians celebrated the spring equinox with the festival of No Ruz — which means “new day.” It is a celebration of hope and renewal still observed today in many Persian countries. Mayan people in Central American have celebrated a spring equinox festival for ten centuries. As the sun sets on the day of the equinox on the great ceremonial pyramid, El Castillo, Mexico, its “western face…is bathed in the late afternoon sunlight. The lengthening shadows appear to run from the top of the pyramid’s northern staircase to the bottom, giving the illusion of a diamond-backed snake in descent.” This has been called “The Return of the Sun Serpent” since ancient times. 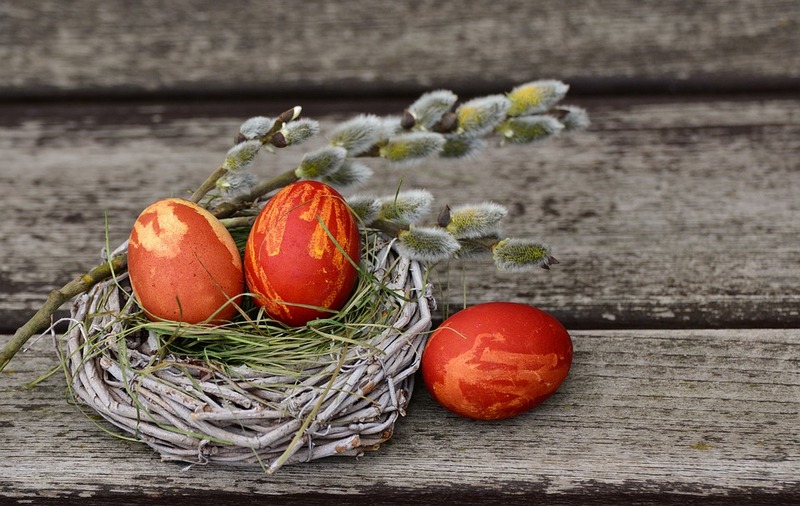 The custom of giving eggs on Ostara was known to the early Egyptians, Persians, Greeks Romans and Gauls. The Practice of coloring these eggs also date back to ancient civilization. In Asia and India, the practice of hunting hidden eggs in spring was symbolic of the belief that we are fully responsible for our actions and reactions, and that we must each find our own way to life renewed. Because this incorporated reincarnation themes, the egg hunt was a time to reflect on the balance of rights and wrongs and how to improve one’s position in the next life.